Watch_Dogs 2 was thoroughly showcased for the first time at E3 2016 by Ubisoft. We even published a developer Q&A, which shed a significant light on the refined gameplay mechanics that players will find in this sequel. Eurogamer just shared a new juicy tidbit on Watch_Dogs 2, as part of an interview with Creative Director Jonathan Morin. According to him, progression in the game is barely tied to the story itself and players may choose to skip it for the most part; they can also continue their progression after the main story has ended. You can barely touch the story. You have many different operations which give you followers, which guide your progression. Within the story there are three “milestones” to hit which finish the game’s narrative, but mathematically you can unlock everything else through co-op or free-roam. You can play the whole game by yourself, including the co-op content, although I think that’ll be quite difficult. Still, there’s always someone spectacular out there who can, so why not let them? What we’re pushing for is having a seamless online, and integrating co-op into it. You can play different operations and choose to not even play the story. Activities will scale appropriately. And there is further progression so players stick around after the main story arc, if they want. 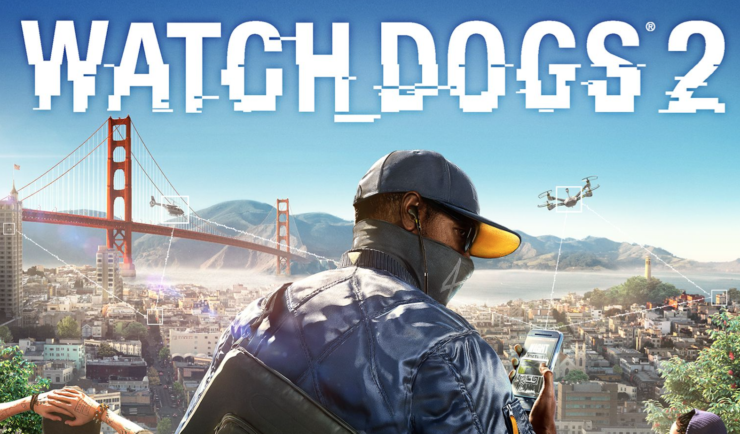 Watch_Dogs 2 features a new protagonist, Marcus Holloway, a young Hacktivist who actively sets to take on the corrupt organizations of the San Francisco Bay Area. Unlike in Watch_Dogs, players won’t have to “unlock towers” to move to different zones: the entire playable area will be available right from the start. Ubisoft also promised a lot more random events happening organically in the game world, with the goal to make it feel alive. The game is scheduled to launch for PC, PlayStation 4 and Xbox One on November 15.